Job Categories: Gulf Jobs Demand. Job Types: Contract. 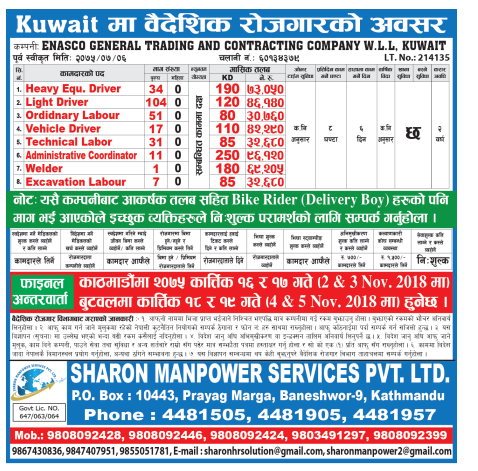 Job Tags: EJOBS, ejobsnepal, High paying Jobs Kuwait, Jobs in Kuwait, Kuwait, Kuwait Jobs, Latest Kuwait Jobs, and nepalijobs. Salaries: 80,000 - 100,000.